Well it's a good thing I didn't make a New Year's resolution to blog more often -- oh wait I did that?? FAIL! These last couple of weeks have really just gotten away from me. In a bit of good news, I have gotten a lot done, work has been busy, the nursery is finished and all the baby's laundry is cleaned and put away, and my freezer is full of meals frozen for easy dinners once she arrives. So there's my excuse. To make it up to you -- here's a GIVEAWAY for a beautiful cookbook, Bottega by Michael Chiarello Chef Chiarello is the host of Easy Entertaining on the Food Network and chef at Bottega Napa Valley Restaurant. Along with this great cookbook, you'll also receive a box of the Progresso Lemon-Pepper Panko Breadcrumbs that I used in the recipe below to try out. To enter the contest, simply leave a comment at the bottom of this post telling me what you would like to try to make or what your favorite dish using panko breadcrumbs is. For a second chance to win, "like" Homemade by Holman on Facebook by clicking on the link in the side bar of this page and leave a separate comment telling me you're a fan. All entries must be made before Tuesday, January 25 at 6 pm Eastern and must include a valid email address to be eligible. Speaking of the recipe... I promised a quick and easy dinner and this definitely meets those qualifications. You can have all this ready to go in about twenty minutes. If you have never used panko breadcrumbs before, they make a much crisper breading than traditional breadcrumbs. I generally just buy the unflavored variety in the grocery store and season them up as needed but these lemon-pepper flavored breadcrumbs work great with the pesto pasta. In the interest of full disclosure, I had pesto on hand when I decided to make this as I made a big batch this fall when I had an abundance of basil from the garden and froze it. But pesto is really easy to make and only takes a few minutes, so I've included the recipe below (although this will make more than you need but you can freeze the extra.) You can also find pesto in the grocery store if you want a pre-made version. Preheat oven to 350 degrees and line a baking sheet with foil (if desired, you can cook directly on the baking sheet but foil makes for extra easy cleanup). For the chicken, set up two wide shallow dishes for the breading process. In one dish, beat egg and add milk, salt and pepper and whisk to combine. In the second dish, add breadcrumbs. Pound chicken breasts to an even thickness approximately 1/2" thick. Dip each piece in the egg mixture, coating both sides and letting any excess drip off before transferring to the breadcrumbs. Coat both sides, lightly pressing the breadcrumbs into the chicken to ensure they are well-coated. Heat a large skillet over medium high heat, add olive oil. When the oil is hot, add chicken breasts and cook about 2-3 minutes per side until golden brown. Transfer to baking sheet and continue cooking in the oven until cooked through, about 5-10 minutes depending on the thickness of the chicken. For the pasta, heat a large pot of water to boiling over high heat. Generously add salt and add pasta to boiling water. Cook pasta to al dente according to package directions. Drain and toss with pesto sauce. For the pesto, combine basil, garlic and pine nuts in a food processor and pulse until coarsely chopped, slowly stream in olive oil with processor running until uniform. Stir in cheese and pour over pasta. Please note: Giveaway provided by General Mills via MyBlogSpark. Although these products were provided to me free of charge, the opinions above are my own and are not influenced by General Mills or MyBlogSpark. omg! I LOVE panko. i use it to make japanese panko chicken with rice and i also like to make panko chicken with pesto -- just what you have on here! I would love to try a Shrimp Scampi Recipe I found on TastyKitchen that uses Panko Breadcrumbs....or this recipe you posted looks pretty darn good too! On a side note, I am jealous! I am expecting early March and while our nursery is finally done, it still looks like a tornado swept through it after the baby shower and all the laundered clothes are in baskets waiting for me to decide what to put where! And my freezer .... not even close to what yours looks like I am sure ;)But feel free to share some of the recipes you used to freeze meals!! I have a great recipe for stuffed portobello mushrooms that calls for panko bread crumbs - would love to try it out! This is so not gourmet but I love to make onion rings with panko. Sooooo Yummy and crunchy! How exciting! 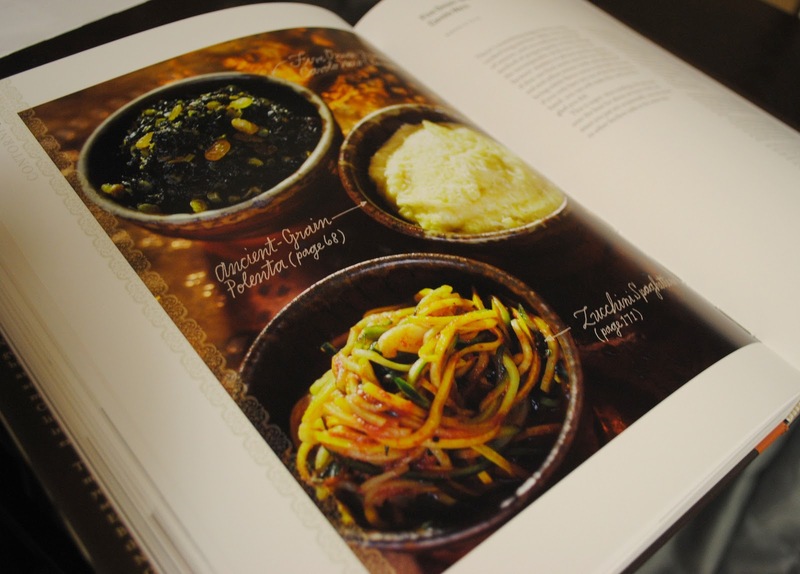 I love exploring new recipes and reading cookbooks. Would love to win. In the meantime, I'll have to try out these panko bread crumbs. I enjoy cooking our tilapia or catfish in seasoned bread crumbs, and it might be time to mix it up a little! I love breaded eggplant parmesan..I also have you on my list of inspiring blogs and I'm a fan. Just became a friend on Facebook. I have never used Panko breadcrumbs; for that matter even heard of them. Your recipes looks so delicious. I searched some recipes for ones that used the crumbs. I found a Three Cheese Mac and Cheese with Panko crumb topping on www.chow.com. Oh how we love mac & cheese. Crab cakes. I love a good crab cake.. I love that recipe! I actually used my panko bread crumbs tonight, but it was for something very simple, chicken cutlets. I just got married, this Sunday will be 3 months (yay!) and I'm working on my cooking skills, hopefully slowly but surely but my husband is very picky, so I hope I can impress him with some good recipes in the future! I've never used Panko ... but it sounds amazing used in Eggplant Parmesan (which is one of my favorite dishes to make!) I think I may try that this weekend. LOVE... fried panko coated ravioli! I love making yogurt chicken with panko. I like using panko for jalapeno popper dip! My favorite is regular old chicken parm... yum! we like panko on top of our mac and cheese! Love, love, LOVE Panko! This looks heavenly and will make a quick weeknight dinner for me, Mom, and my daughter. Thanks a jillion! 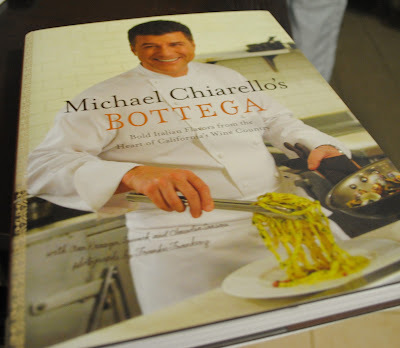 Chiarello is one of my favorite FN chefs! I love panko on salmon. Super crispy outside, but nice and soft inside. I'd use it with shrimp or tilapia! 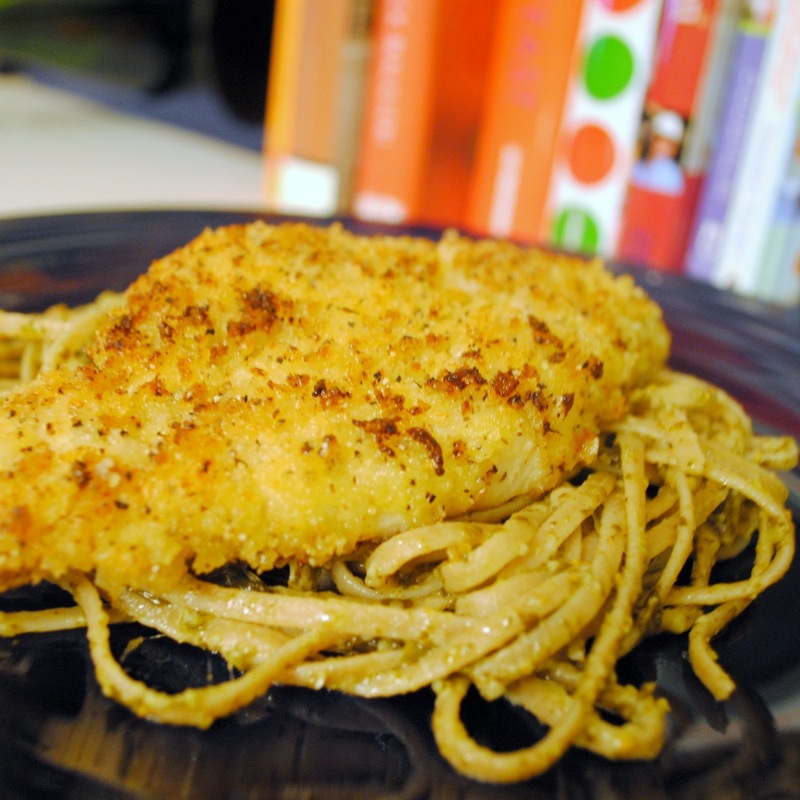 We use Panko on our chicken breasts all the time. It also makes a wonderful mac and cheese topping! I love using panko in my Mac N' Cheese and also my stuffed mushrooms - gives a nice crunch! I am also became a fan on FB! I love to make chicken fingers with panko breadcrumbs with a side of homemade honey mustard sauce! I make a spinach and feta stuffed chicken breast and then coated the outside wit the panko bread crumbs. It was so good! I love using panko bread crumbs on top of mac and cheese, or to bread chicken or fish. It's such a great added crunch and so much different than the standard italian breadcrumb toppings I grew up with. Also liked you on fbook! I top my chipotle mac n cheese with panko bread crumbs mixed with chipotle powder infused olive oil. So, so good. What a great giveaway! I have plenty of ideas for using panko, but the lemon pepper variety makes me want to create a rich, gooey, cheesy pasta with chicken. I'd use the panko as a topper to get a nice crunch! I would like to try some baked fish with lemon pepper panko. This recipe is incredible, totally up my alley. thanks so much for posting! I try to use panko on just about anything, lol. But good old fashioned chicken is my go-to. This looks so delicious. I am a sucker for anything pasta - throw in pesto and I am sold! I have added this to my recipe box! Is there supposed to be lemon in this?